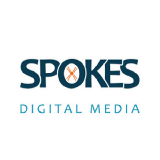 Spokes Digital Media is a digital marketing agency. We increases sales & brand awareness by utilizing bikes, digital, & experiential marketing strategies. Spokes Digital Media — Ride support for the Westside Beltline Tour.